Stephen Endicott’s Red Earth: Revolution in a Sichuan Village (New York: New Amsterdam Books, 1991) is one of the few enjoyable village studies that provide carefully documented, detailed accounts of the system of agrarian “people’s communes” that dramatically transformed rural and urban China from the late 1950s to the early 1980s. 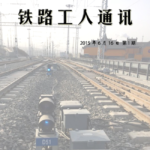 As such, it provides important insights to students of modern Chinese history, researchers on “development” in general, and even to social activists concerned with how to create a better post-capitalist world. To those who recognize the unsustainability and injustice of capitalism but think no better alternative is possible, that “communism is a good idea in theory but will never work in practice,” pointing to China as an example of its failure, Red Earth demonstrates that, while the PRC was never communist (and never claimed to be), some of the communistic arrangements it experimented with did work despite unfavorable circumstances, and it was not any inherent impracticality that led to their abandonment. 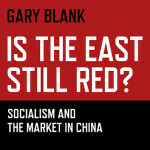 Many reviews of this classic study have been published, one of which can be accessed for free online,1 so below I focus on those parts of the book related to the commune period, using these as a springboard for a broader reflection on China’s experience with agrarian socialism and the lessons this offers to anti-capitalists of all stripes today. But first I start with an overview of Endicott’s analysis. When Endicott returned in 1983, the land had been contracted to individual households, other collective assets had been auctioned off to the wealthiest or best-connected villagers, the village no longer supplied grain or other basic necessities to needy villagers, the party-state was helping the most successful one-third of village households to invest in individual market-oriented enterprises, poorer villagers were working for these enterprises, and the gap between rich and poor was growing rapidly (212-213). In 1986, however, Endicott observed some disillusionment with individual entrepreneurialism among ordinary villagers and a renewed focus by both central and local levels of the party-state on collective entrepreneurialism, with all loans by the county government in the past year going to cooperative and collective enterprises (213). By March 1988, MaGaoqiao had “reorganized as a joint co-operative divided into seven small co-operatives.” Households continued to contract land, but now a contract would be renewed each year only if the household fulfilled certain obligations to the cooperative (including quotas for certain crops), and the cooperatives would “re-establish their accumulation funds for capital investment and to provide services to their members before, during and after production – better seeds, credit, technical information, machinery, sales and transportation facilities” (218-219). This change was made partly in response to a drought that had led to deadly fighting among farmers, followed by a flood that had washed away 24 houses and put 70 families on relief. Local cadres attributed both disasters to the dissolution of collective institutions and increased competition among families. 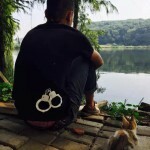 As team leader Wang Daoquan put it, “Things that should be done for the public welfare could not be done; everyone was busy doing his or her own business” (218). Endicott concludes that Chinese leaders were still grappling with “two problems left unresolved by the early period of socialist construction: how to increase the productivity of farm labor so as to raise living standards appropriate to a modernized China, and secondly how to reform a style of leadership that tends to degenerate into bureaucratic commandism” (214-215). Below I argue that the former problem – or rather the push to raise productivity itself – was a key factor leading to the latter. Endicott doesn’t make this connection, instead apparently taking for granted the Dengists’ emphasis on individual incentive mechanisms and claiming that the collective work-point system had been “wasteful of labor power, open to favoritism and abuse by cadres, and increasingly resented by the villagers” (215). As for “commandism,” Endicott gives only various theories put forth by others, among which the only cause proposed (by the China Historical Materialism Study Society) is “remnant feudal ideas” (216). The proposed solutions all take for granted the need to raise productivity, although there is a phrase that might be taken as a vague suggestion that productivity is less important than equality and social welfare: “Many people worry that the ‘cures’ offered by the free market or by the free-standing co-operatives may be worse than the ‘illness’ of socialist collectives” (217). The book closes on a hopeful note that “In the struggle between individualism and collectivism, the balance has shifted once again in favor of the more socialist-minded” (219), but this is tempered by the fear that “a new rich peasant class” may yet prevail over “the collective interest” (220). This designation of rich peasants as the main threat to China’s rural communities and their poorer members, and this framing of the issue as a “struggle between individualism and collectivism,” both point to a theoretical confusion in the way the communes have been understood by their proponents and detractors alike. Below I attempt to untangle this confusion while using Endicott’s account of MaGaoqiao, along with other sources, to demonstrate the existence of communistic elements in China’s agrarian communes, propose an alternative explanation of their failure, and thereby redeem the communes as providing both positive and negative lessons about how to create better alternatives to the capitalist present. “Communistic” refers to arrangements approaching that ideal in the context of antagonistic social systems – such as the global capitalist system that limited and shaped China’s communes and other communistic experiments elsewhere. “Socialism” has been used to mean many different things – from communism to the capitalist welfare state to anything Barack Obama advocates. Here I use it in a narrow sense referring to those societies called “socialist” by ruling Communist Parties, as in the USSR and the PRC until the 1990s, which had one foot inside and one outside the global capitalist system, differing from capitalist societies mainly in that (1) the means of production were concentrated in the hands of the party-state and (largely state-controlled) semi-autonomous collectives (such as the communes in China), (2) the party-state systematically directed the means of production – and the investment of capital produced through their use – toward developing the forces of production and destruction (whereas capitalism had developed these forces haphazardly, more slowly, and with the aid of colonial spoils), (3) a primary force driving this process of state-directed development was defensive military competition with the major capitalist states (the latter in turn driven by commercial competition among firms in those states and their capital’s need to expand into the territories ruled by Communist Parties), and (4) CP ideologues regarded socialism as transitional to communism and beholden to “the laboring masses of workers and peasants,” so at least some socialist states experimented with communistic arrangements and policies that did not fit comfortably into a productivist logic of development (such as certain aspects of China’s agrarian communes described in Endicott’s Red Earth and discussed below). Many observers have dismissed the “people’s communes” as functionally comparable to the factories and factory-farms of capitalism. They were established under strong top-down pressure, membership was not determined voluntarily, and they were fundamentally shaped by the process of “socialist primitive accumulation”: state extraction of surplus-value from commune members to fuel China’s industrialization and military modernization, mainly through the “price scissors” (below-value grain procurement coupled with above-value prices for urban industrial goods), as well as through the state’s use of underpaid rural labor for capital construction (digging canals, building roads, etc. ).7 However, closer inspection through accounts such as Red Earth reveals a more complicated picture. It may be helpful to borrow from what Karl Marx wrote about the Russian obshchina (another kind of agrarian commune, also “crushed by the direct extortions of the State”) in the late 19th century, where he discerned a “dualism” between its “collective” and “property” aspects, either of which might “gain the upper hand” depending on the “historical surroundings.”8 The Chinese communes likewise seem to have possessed a dual nature, with extractive functions (inevitably giving rise to authoritarian tendencies) uncomfortably intertwined with communistic elements. Moreover, the Chinese communes possessed an important advantage over most experiments associated with the communist movement (such as the Paris Commune of 1871 and other short-lived arrangements that emerged from the uprisings of workers and peasants in Russia and the Ukraine in 1917, Spain in 1936, Hungary in 1956, etc.9): many communes were basically self-sufficient, being based on farming a variety of crops, for both use and exchange, combined with other industries, locally-run health services, etc., and they began to diversify, increase productivity (through both sustainable and unsustainable methods), and dramatically improve life expectancy. Among the arrangements that emerged from uprisings elsewhere, I’m not aware of any that managed to work out smooth distribution of basic necessities among the various units, divided as they were by industry (food shortages were a major problem with the system in revolutionary Spain, for example). In defense of the latter, one could point out that (1) they were in the midst of war or warlike conditions, so much of their energy and resources were devoted to fighting, and they didn’t have time to work out smooth systems, and (2) they were part of popular movements against capitalism, so they might have developed into more ideal arrangements as they gained both resources from capitalist hands and peace as their enemies receded. But couldn’t the latter possibility be posed for the Chinese communes as well? That is, if their “historical surroundings” had changed so that the pressure to supply large amounts of cheap grain and labor was relieved, mightn’t their communistic seedlings have come into bloom? Of course such counterfactuals are moot, as is the question of whether to attribute these seedlings to communistic elements in the minds of policy-makers such as Mao Zedong, popular initiatives or something else. My point is simply to encourage anti-capitalists of all stripes to recognize there are both positive and negative lessons to learn from the Chinese communes, as from any other experiments with new social relations one may point to. Endicott reminds us that, after a brief easing of relations with the US following the Korean War, China’s state planners had felt safe to revamp the national budget in the second five-year plan, reducing the size of the military, diverting spending from military and heavy industry to agriculture and light industries, raising living standards (in part by raising grain procurement prices), and developing international trade as a new source of capital (trade with many countries having been blocked by the US embargo). Unfortunately, “a sudden hardening of US policy towards China in 1957 threw the Chinese leaders into temporary confusion and dealt a fatal blow to their planning” (45). Cold warriors such as John Foster Dulles rose back to prominence in the US Congress and renewed their saber-rattling. “Between 1953 and 1958 the United States threatened China with nuclear attack seven times during the crises in Korea, Indo-China and the Offshore Islands in the Taiwan straits” (45). The Pentagon stationed guided missiles with nuclear capability on Taiwan and deployed the Seventh Fleet at several locations off the coast of China, the CIA increased its activities such as training Tibetan guerrillas (contributing to the 1959 uprising10), and the US boosted its military and economic aid to allies on China’s borders, including the anti-communist forces in Vietnam. Meanwhile the USSR – responding in part to China’s earlier moves toward détente with the US – became increasingly hostile, denying help in building a nuclear deterrent, demanding the immediate repayment of loans (including those for aid in the Korean War). “In response to the new situation Mao, along with most of China’s top leaders, proposed a self-reliant ‘great leap forward’ to mobilize the vast reserves of peasant labor in revolutionizing agriculture through communes and militias, and they made an appeal for local initiative to conquer China’s technological backwardness… aiming to reach the level of British industry in fifteen years” (46). One day [in late 1958] Deng Yuanming, our team accountant, went to the commune to report on our output of grain. He told them it was 500 jin per mu [250 kg/0.067 ha or 3.75 t/ha]. They turned him away saying, “No, that’s not the number. You can’t pass the gate.” We talked it over and sent him back a second time to say it was 700 jin per mu. Again they said no. They told him that if the number wasn’t up to 1,000 jin per mu then he could not get his figures accepted. So he said “Yes, yes, it is 1,000 jin.” Then he passed. The death toll is still highly disputed for China as a whole, with some scholars arguing it was actually lower than normal years prior to the Communist takeover and about the same as normal years in contemporary India (China’s annual death rate having fallen from 29/1,000 in 1949 to 12/1,000 in 1958 due to relative peace and dramatically improved access to food and health care, compared with 25.4/1,000 at the height of the famine in 1960 and 24.6/1,000 in India during the same year).17 But Bramall estimates 8-15 million excess deaths in Sichuan alone from 1958 to 1963, at a death rate of 54/1,000 in 1960.18 In Junction, Endicott estimates as many as one in ten people died during the famine, with 300 deaths in MaGaoqiao village alone – 20% of the population (55-56). As is well known, throughout China such campaigns contributed to the famine by suddenly diverting a large portion of the agricultural workforce out of farming even while the state was demanding more grain than before. It is also well publicized that much of the iron and steel produced by such campaigns and “backyard furnaces” was useless. 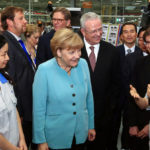 In this case, however (and Bramall and others have reported similar cases elsewhere), the campaign did have a positive impact on Shifang’s long-term development. In addition to “gaining technical knowledge and new skills in social organization,” the iron-and-steel brigades discovered coal, limestone and phosphorus in the mountains. They built the county’s first railroad in a few months and started hauling these precious minerals out of the mountains in less than a year, laying a big part of the foundation for Shifang’s later industrialization. Considering that the major mode of transport in this area prior to the railroad was the shoulder-pole, it is important to note that “each engine could pull a load that would have taken a thousand peasants to carry on their shoulders” (53). Although Endicott does not put it in exactly these terms, accounts such as his make it clear that the main cause of the famine was the fact that the government suddenly diverted large amounts of agricultural labor-power into (often poorly-planned and fruitless) rural industrialization campaigns while simultaneously demanding more grain than previously (shipping much of it off to the USSR for debt repayment, while the latter suddenly withdrew all 1,200 of its technical advisors stationed in China). The famine was also complicated by the difficulties of adapting to the communes’ experimental arrangements for production and distribution, as well as by severe floods, droughts and pests affecting about 60% of China’s cultivated area (but not including Shifang).19 Nevertheless, both Mao’s contemporary right-wing opponents (led by then-president Liu Shaoqi and general secretary Deng Xiaoping) and anti-communists elsewhere, past and present, have laid the blame squarely on the “utopianism” of the communes’ social experimentation – especially their more communistic aspects such as need-based distribution.20 Then and now, Chinese Communist Party ideologues have framed this in Marxist terms, claiming that China’s forces of production were not yet developed enough to enable such “advanced” social relations, and eventually this became the main theoretical justification for completely dismantling the communes and marketizing Chinese society in general. But the gist of their argument is similar to the reasoning that has become hegemonic globally over the past few decades, encapsulated in what neoclassical economists call “the free-rider problem”: when people can use goods and services for free, and when contribution to the production of those goods is voluntary, people tend to consume more than they produce, leading to shortages and falling productivity. The solution proposed by both neoliberals and Dengists alike has been to use market mechanisms to discipline the masses into diligent producers and paying consumers. As Nobel laureate Elinor Ostrom and others have pointed out, such theories fail to account for the fact that many societies throughout human history and prehistory have managed to do well (at least in terms of sustainability and life expectancy) without regulation by such market mechanisms.21 I won’t get into the various explanations of how communistic arrangements (such as participatory management of common pool resources) work under certain conditions. 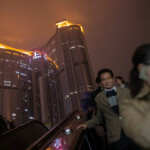 Here I just want to highlight that the dominant explanation for the failure of communism in both China and elsewhere is not only inaccurate, but also highly ideological, in that it has been used historically to suppress experiments with egalitarian arrangements and restore the conditions for widening the gaps between rich and poor, city and countryside, mental and manual labor, managers and managed, etc. At the time, the Dengists compromised with the Maoists, allowing the communes to remain with their more communistic aspects excised or scaled down. Many communes had already abandoned these experiments in response to the crisis, but the state also helped fertilize the sprouts of agrarian capitalism by restoring the “three small freedoms” – private plots, free markets and private sideline enterprises – and encouraging teams to contract land to households to raise productivity (66). (It was at this time that Deng Xiaoping made his famous statement that “it doesn’t matter whether a cat is black or white, so long as it catches mice” – it’s often forgotten that the “mice” implicitly referred not to peasant prosperity but to cheap grain for urbanites, soldiers and bureaucrats.22) Later, with stimulation from Maoist campaigns such as “learn from Dazhai” (Dazhai being a village in Shanxi touted as a model for “everyone getting rich together”), communes such as Junction resumed their attempts to combine the communist ideals of equality, need-based distribution and participatory management with the apparent requirement for some kind of labor incentives to maintain sufficient productivity for improving living standards while meeting state quotas. Certainly this problem would have been simpler if the latter pressure were removed, and some communists may think such problems are irrelevant under today’s conditions of abundance and high productivity, but (setting aside the question of whether many aspects of industrial production should be abandoned as unsustainable or alienating), it seems likely that this problem will remain to some extent until we figure out (following the Situationists23) how to make all the necessary and desired forms of production enjoyable enough that people will do them for fun.24 Junction never managed to find a perfect balance, but it did manage at least – experimenting with four different systems of remuneration – to gradually raise output and living standards while making sure everyone had access to sufficient food and health care, with the highest income in MaGaoqiao’s team #5 only four times the lowest in 1980, and 2/3 the households at roughly the same level of income (130). Under BCDZ, the production team signed a contract with each work group in which the team agreed to allocate a certain number of work points to the group when it had met an output quota. If the group was able to over-fulfill its quota, it received extra workpoints or was even allowed to retain the entire surplus. In this way, a clear incentive was provided for output maximization. At the same time, however, the essentials of the collective economy were retained. The control of the means of production remained in the hands of the production team and the value of each work-point depended upon the performance of the entire production team. In effect, distribution remained the prerogative of the team even though production was decentralized to the group and ultimately to the household. This system wasn’t perfect either, but it sufficed to gradually raise incomes without sacrificing equality or the ability to conduct collective capital-construction projects (the key to Junction’s long-term development) for the remaining 11 years of the commune’s existence. The main component of the communes’ “public health revolution,” however, was the “cooperative health care” system and its “barefoot doctors.” In 1949 there was only one Western-style clinic in all of Shifang, and that was expensive and inaccessible for the vast majority of the population. There were a few doctors of traditional Chinese medicine in the market town of Junction, but they did not visit the villages and could not cure many common ailments in any case. After the Communist takeover, the new township government brought these doctors together to found a clinic, which added a doctor of Western medicine during the Leap. Finally in 1968, in response to Mao’s “June 26th Directive on Public Health,” the county bureau of public health gave Junction 20,000 yuan to establish a twenty-bed hospital with an X-ray machine and staff for several departments of both traditional and Western medicine, and it also launched the campaign to establish village clinics and train “barefoot doctors.” The latter were villagers trained by qualified doctors for three to six months in “basic first aid, Chinese medicine, acupuncture, the use of thermometers, the dispensing of vaccines by injection and drugs for influenza, stomach upsets and other common ailments” and paid in work points from each village’s collective fund, like any other villager. By 1975 such efforts resulted in raising the number of medical personnel in Shifang county from 592 to 3,420, among whom 658 were barefoot doctors (156-158). It wasn’t until 1976 that the government resumed its support for rural industrialization, with Shifang county loans to rural enterprises rising from 150,000 yuan in 1974 to 1.7 million yuan in 1978, along with grants, technical advice and a three-year tax holiday (89-90). Junction’s collective enterprises rose from 9 in 1975 to 23 in 1982, by 1985 employing 2,300 people (up from 301 in 1975) and earning the commune 960,000 yuan (over 41,000 in 1975) (90). Although Endicott doesn’t address the degree to which employees or other commune members were able to participate in the management of these enterprises, he does discuss some experiments with “mass supervision” of rural cadres. Most of these methods were flawed or even disastrous, and they rarely reached beyond the team level to exert any direct influence over the more powerful organs of the party-state or its system of “socialist primitive accumulation.” Nevertheless, along with the obvious negative lessons, we may also be able to glean some useful ideas from these efforts to increase the level of popular control over the administration of public affairs beyond the mechanism of periodic elections. Meisner tells us that the “Four Clean-ups” campaign – part of the Socialist Education Movement formally launched in 1963 – was originally outlined by Mao Zedong as way to combat “the increasingly bureaucratic character of the Communist Party and the widespread corruption which pervaded local rural Party organs” by “mobilizing the masses” through independent “poor and lower-middle peasant associations.”30 By the time the campaign reached Junction in 1966, it had already been reformulated through compromise with Deng Xiaoping and Liu Shaoqi, each of whom revised the Central Committee resolution to reflect their fear that such a campaign would threaten agricultural productivity and “the organizational viability of the CCP.” In this case, although the entire six-month procedure was initiated and directed by a special “work team” sent by the provincial CCP committee, it did “mobilize the masses” to form independent peasant associations supposed to monitor village and team cadres. Endicott does not discuss the associations’ long-term efficacy, except that they were officially dissolved after the Deng government repudiated the Cultural Revolution in 1981 (144). The Cultural Revolution could be seen in part as an extension of this approach to “big democracy.” In Junction the compromise of local Red Guards (whose antics had paralyzed the commune administration) with an army-dispatched Mao Zedong Thought Propaganda Team resulted in the formation of a commune-level “revolutionary committee” in 1968, incorporating Red Guards and cadres into one organization (118). This replaced the former commune administration and presided over most of the experiments with egalitarian and participatory development discussed above, along with accomplishments in women’s liberation, education, farmland reconstruction and irrigation, until the commune was disbanded in 1982. As for the question of income, Endicott reports that, in Junction, “the commune collective system (not including the private plots and household sidelines) tripled or even quadrupled (in the case of [MaGaoqiao’s] No. 5 production team) the individual peasant’s spending power from 1975 to 1982,” with Junction’s per capita net income rising from 78 yuan in 1975 to 240 in 1982 (135-136). This figure includes industrial enterprises as well as farming, but table 7 (231) shows that MaGaoqiao’s income from farming alone rose from 415,660 yuan in 1980 to 510,129 in 1982, while wages and profit distribution from commune industries rose from 17,000 to 83,000. However, it is important to note that this rise in income began only after a ten-year decline, indicated by Endicott in terms of a fall in the “value of the work day”36 at MaGaoqiao from 0.95 yuan in 1965 to 0.66 in 1970 and on down to 0.47 in 1975 (83). Endicott attributes this primarily to the combination of two factors: (1) “after 1966 the government did not increase the procurement price of grain again until 1979,” and (2) “escalating costs for the modern inputs needed to produce such high levels of commodity grain – the chemicals, plastic sheeting, hybrid plants, electricity, and tractors” – and let’s not forget the diesel fuel to run those tractors. “By 1975, ten years after the introduction of modern science to farming, expenses rose sharply from 15 to 26 per cent, while the annual per capita income from the collective collapsed from 51 yuan to a reported 17 yuan” (83). Table 12 (236) explains that (also in MaGaoqiao) the cost of “modern scientific inputs” for agriculture increased from 16% of income in 1965 to 26% in 1975, after which it began to fall slightly. Table 17 (241) shows that the percentage of income the farmers of MaGaoqiao got to keep after subtracting production costs, state taxes and village fees fell from 64.6% in 1965 to 59.4% in 1975, rising slightly to 63.5% in 1980. Here it’s especially interesting that this figure peaked at 78.3% in 1983 only because the county government temporarily lowered the price of agricultural inputs in order to offset popular criticism for its promotion of the enrichment of a minority of “specialized households,” i.e. entrepreneurs, as part of the Dengist push toward marketization and “letting a few people get rich first” (140). In 1985 (the last year in the table) after-tax net income fell back to 69.8%. These figures strongly suggest that the roller coaster of peasant incomes from farming during these years had more to do with how the state priced grain and agricultural inputs in a given year than whether farming was organized collectively or individually. As for output, Endicott’s table 11 (235) shows that Junction’s grain output grew continuously from 1963 to 1982 (from 6,410 tons to 11,585), and actually fell (to 11,318 tons) in 1985 (the last year on the table). Rapeseed output likewise grew continuously (from 129 tons in 1963 to 650 in 1980), except that it fell slightly (to 635) in 1982. Crop yield (output per unit land, according to table 10 on page 234) for rice, wheat and rapeseed also rose continuously in Junction and nationally, with the national yield of rapeseed falling in 1983. The evidence of Endicott and Bramall thus indicate that, in Sichuan at least, the communes did not fail to increase output for either agriculture or industry. Less clear in these accounts is whether and what percentage of peasants wanted decollectivization as such, rather than simply wanting better terms of trade and more control over production processes and products. Endicott does provide a detailed depiction of how the county party committee went systematically about dismantling the communes, promoting a few “specialized households” and marketizing social life, but I will leave that for you to read yourself. Conclusion: What Could Have Been Done Differently under the Historical Circumstances? In the first section of this paper I noted Endicott’s characterization of MaGaoqiao’s historical twists and turns as defined by “the struggle between individualism and collectivism,” and his fear that a new rich peasant class would prevail over the collective interest. I claimed that these statements point to a theoretical confusion among both proponents and detractors of the China’s agrarian commune system. Endicott’s own data introduced above suggest that the more important struggle determining both the prosperity of MaGaoqiao and the success or failure of its collective and individual endeavors alike was something more like a class struggle between the peasantry and the developmental state bureaucracy, the latter driven by a combination of defensive military competition with the major capitalist states and the bureaucrats’ individual pursuit of promotion to rapidly develop China’s forces of production and destruction. That is, the villagers’ fortunes seem to have fluctuated with the intensity of pressures to extract surplus-value from them, depending on how the state priced grain and agricultural inputs, how much grain and other products the peasantry was pressured to produce and hand over, and how much underpaid labor peasants were asked to contribute to rural capital construction. This is not to say that such extraction was not at all beneficial to the peasantry in the long run. Some of the capital construction projects described in Red Earth resulted in new means of production controlled exclusively by village or team collectives: expanded, squared, leveled and irrigated farmland; fishponds, orchards, etc. And the peasants also used or otherwise seem to have benefitted from most of those projects that expanded state-owned facilities (canals, roads and railroads, mines, etc.) and commune-owned enterprises – at least until much of this (along with certain village and team means of production) was auctioned off and converted to the exclusive service of individual profit at the expense of collective interests. As for grain quotas and the price scissors, it could be argued that a period of such “socialist primitive accumulation” was the only way, under the historical conditions discussed above, for China to industrialize and militarily modernize enough to raise living standards through increasing productivity, improving access to modern health care, etc., while defending against imperialist threats. The plan was to squeeze the peasantry for a few years until a certain level of development was reached and then start reimbursing them by reversing the flow of value (fanbu). Writers such as Pao-yu Ching argue that this reversal had already begun to take place in the 1970s, since state investment in agriculture and the production of agricultural inputs increased, and the price scissors relaxed (that is, the terms of trade became more favorable to agriculture).38 On the other hand, the price scissors never disappeared or reversed (indeed, as mentioned above, grain procurement prices were frozen between 1966 and 1979), and increased state investment in agriculture and inputs meant only an increase in agricultural output and productivity, not a decrease in the rate of exploitation – as suggested by Endicott’s aforementioned figures for the falling “value of the work day” until 1975, which didn’t surpass the 1965 level until 1982. A better indication that a reversal was beginning may be the state’s massive reallocation of funding and trained personnel into rural health care and education after 1968. My aim in writing all this is not to point fingers at Mao-era China or the commune system as exploitative or authoritarian. In comparison with other cases of such rapid and large-scale modernization, such as Germany under Bismarck, the USSR under Stalin or Japan under Hirohito,43 China almost certainly modernized in the most egalitarian and democratic manner, without conquering new territories to provide cheap resources,44 and under particularly unfavorable conditions – including devastation by over a century of invasions and civil war, embargo and imperialist threats by the nuclear-armed US, and antagonistic relations with the USSR after 1957. My purpose is rather to show that the communistic experimentation associated with the Great Leap Forward and the agrarian commune system did not fail because of any inherent impracticality of communism, but basically because they were introduced by a party-state that was simultaneously (and arguably as a means to eventually realize communist goals) extracting surplus-value from the commune members. But were there other options under the historical conditions? On an ideological level, as mentioned above, we can say at least that the Maoists were wrong to imagine the transition to communism as going naturally together with a rapid increase in output and development of productive capacity, especially under the multiply unfavorable conditions of the Great Leap Forward discussed above. More conventional Marxists (including the Dengists, as discussed above) take from this the lesson that the forces of production must achieve a certain high level of development before communization becomes possible, but this contradicts the apparent predominance of communistic arrangements among prehistorical societies and in many “primitive” groups observed throughout history. Even if we aim to incorporate modern science and technology into communist social relations, it is important to recognize both that these are not necessary precursors, and that communization would actually require abandoning or modifying many technologies, modes of organization and entire economic sectors developed for capitalist purposes.45 The Maoists apparently recognized this to some extent (promoting, for example, experimentation with various methods of participatory management and remuneration, and the introduction of new appropriate technologies such as methane-burning stoves). But the overall political/economic vision captured in Endicott’s phrase “the struggle between individualism and collectivism” takes for granted the high modernist faith in scale that still dominates the world’s thinking about agriculture, giving it a fatal Marxist twist by assuming, at the extreme, that the larger the scale of collectivization (of farming and as many other aspects of production and life as possible), the more communist an arrangement is. When reading texts such as Red Earth or Chen Boda’s influential comments (quoted above) on the first experiments with “people’s communes,” one wonders whether the consolidation of smaller into larger-scale units is being eulogized because it’s believed to be more egalitarian or more productive; apparently the assumption is that the two go naturally together. This contradicts millennia of experience that the most communist (i.e. the most participatory, egalitarian, democratic, etc.) arrangements that have also been the most successful – among both traditional and experimental formations – have tended to focus most production on small-scale cooperation, with larger-scale cooperation and exchange among small groups coordinated through voluntary federal, rhizomatic or segmentary lineage relations.46 This is not to say that communism can’t be done on a larger scale, or that it can’t be more productive than Neolithic technologies would allow. New technologies such as the internet have already begun to make possible certain forms of communistic cooperation on a global scale, and surely we could create more such technologies appropriate to making communism work on various scales and at higher levels of productivity. But the conventional Marxist beliefs that capitalist “socialization” of the forces of production points directly to communization of social relations, that communism can simply take over the existing capitalist technologies and ways of organizing production, and in the Chinese case, that essentially capitalist forces of production must be developed either prior to or during the transition to communism – all seem unfounded, mystical, and potentially dangerous. On the other hand, even if the CCP recognized that communism neither requires development of productive capacity nor should simply adopt capitalist technologies or increase the scale of production, could they or the communes survive without doing so? Probably not, unless the imperialist threat of the major capitalist states disappeared from the picture. So the practical options for Chinese communists were (1) to focus their efforts on promoting revolution in the major capitalist states (not seriously considered, understandably), (2) to retire from the political sphere and wait until the conditions became more suitable for communization (as many Chinese anarchists did), (3) to shift gears to developing China as a nation-state, waiting until either China becomes the new global superpower or communization begins in the major capitalist states (as the Dengists essentially did), or (4) to try to do both at the same time, hoping to defend China’s sovereignty while beginning the transition to communism within Chinese territory, hoping the communist movement would spread and undermine the major capitalist states (as the Maoists arguably did). 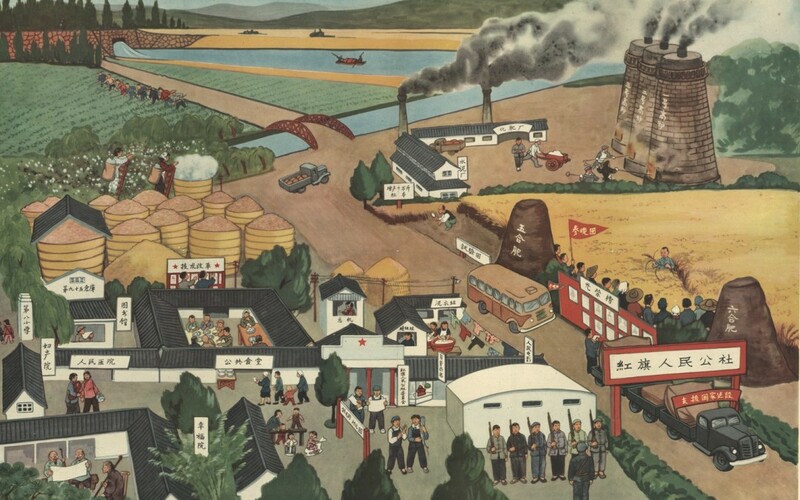 (6) meanwhile, records of China’s “people’s communes” such as Red Earth provide some specific positive and negative lessons about how to organize post-capitalist arrangements in the future. And that future becomes ever closer as the environmental and social crisis of global capitalism deepens. 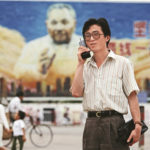 At the same time, China’s rise to replace the US as the global superpower renders anachronistic the historical limitations emphasized above: if the conditions for communization to begin in China were not yet ripe in the 1920s, 1950s or 1980s, there should be no doubt that they are approaching ripeness now. Except in this PDF from China Study Group, which also appears likely to disappear soon. The PDF includes footnotes omitted from this page – apologies for the dead hyperlinks. Also see “Maoism vs. Communism: A Debate” from China Study Group and “Confusing History with Spectacle” from Ultra.